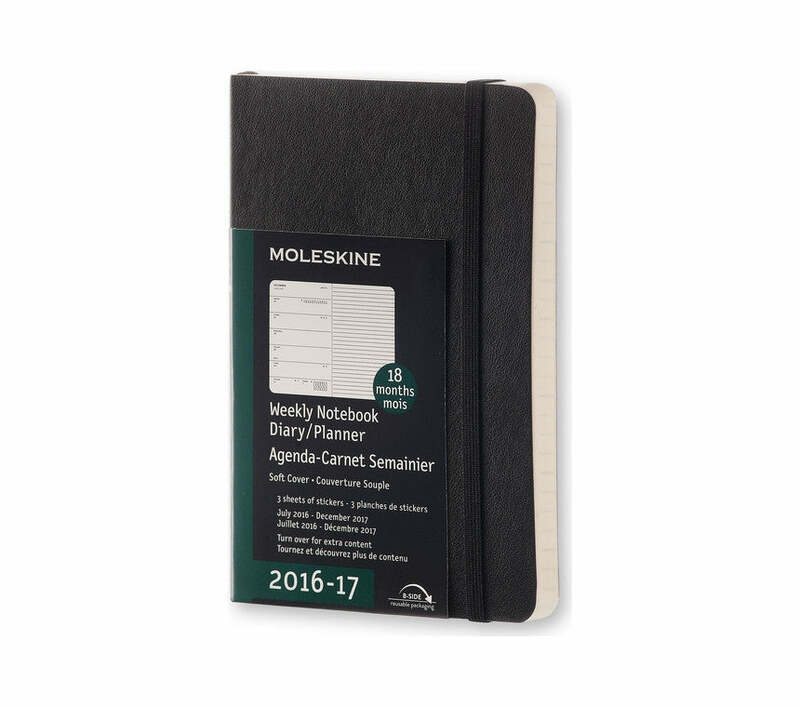 The Moleskine Weekly Notebook is dated from July 2016 to December 2017 and has a soft cover. Formatted to show the week's appointments on the left and a ruled page for notes and ideas on the right, it is a handy and versatile planner that incorporates the freedom of a notebook. Layout: Week on the left, ruled page on the right. Pockets: Expandable inner pocket in cardboard and cloth.